In this latest update on everything from Google and Bing ads and analytics we take a look at what has been happening in the month of June. Google has a number of updates from an AdWords refresh and a new reCAPTCHA API for android apps right through to snippet best practices and analytics segmentation. Bing takes a focus on Cannes and the conversations their top management are having there this year as well as a number of updates that fit nicely into this look into the future. The Google AdWords platform has a new and fresh look and feel. It has been designed to help users launch and scale campaigns much more easily than before. Key focus of the new platform includes using custom rules to help you check for changes that that do not aligning with your best practises and faster downloads for new AdWords Editor versions. These two updates take up their places in the new platform along with some other smaller updates. To get all the details on the new AdWords platform you can read the full update from Google here. As ad blockers become more prolific in the day-to-day use of the internet, content creators are finding it more difficult to generate the funds they need to continue to produce high quality content. This trend is partly down to the types of adverts that are being used across the web such those that take up the full screen and are timed so that viewers have to watch them before accessing the content. This is also down to the fact that irrelevant adverts are being showed to people due to poor targeting. Often as marketers you make best guesses based on your competitive position within a market. Bing has now introduced competitive metrics that will give marketers an idea of how competitive they are compared to those that operate in the same area. These metrics will fit into other aspects of the platform such as filters, period comparisons and segmentation. The full details on this update can be found here. As part of the Bing campaign for Cannes, Stephen Sirich takes a look at digital transformation and what that is going to mean for marketers leading into the next five years. In this blog post he inspects all the elements that look set to make a splash such as AI, processing power, voice, cloud computing and machine learning and how they may impact businesses. You can read Stephen’s full blog post here. One of Bings latest updates has seen a number of changes to the usability and improvements to performance of campaigns. The key changes in this update include the inclusion of multi campaigns and ad groups on the left three-view pane. It also offers better control over device targeting; this is going to become more of an important aspect as we see an increase in mobile usage. We also see improved performance with better navigation and radius targeting enhancements to help further improve targeting by geographical location. Full details of the latest updates can be found here. In another part of the Bing campaign at Cannes, Axel Steinman gives his thoughts and insight into the challenges that the modern CMO faces. He notes that the purchase process has ultimately become more complex and has therefore started to throw up more challenges for the CMO to understand and tackle on a daily basis. He goes on to explain how these advances and requirements to react quickly to an ever-changing marketing landscape means marketers always need quick and actionable insight to hand. You can read through Axel’s full post here. Further to conversations and thoughts from Axel Steiman and Stephen Sirich, Kathleen Hall contributes to the Bing Cannes conversation. In her blog post she considers brands that have a true and thought through purpose and how that positively impacts their company culture as well as customers who are willing to pay more for a product or service that is positively impacting the world. She touches on the fact that brands do not necessarily have to run associated funds or charities to maintain a purpose. But instead they need to contribute positively whether that be through their suppliers, sourcing ethical materials or simply treating their employees well in order to be seen as a brand with a purpose. The full update from Kathleen can be found here. Back in November 2016 Bing announced updates to device targeting by allowing campaigns to be purely targeted at desktop viewing and allowing complete opt-out for tablet viewing. Since gathering feedback after the update Bing have now made it possible to opt-out of desktop ads also, this paired with the tablet opt-out means that marketers can now generate campaigns completely focused on mobile viewing. They note that the roll out should be available to all marketers by the end of June. Get all the details on the update here. For those that don’t know, MercadoLibre is a huge shopping site with its key customer base in Latin America. It operates in a similar way to Amazon with many suppliers all using the platform to target and sell to their customer base. The company recently used Google 360 to help their suppliers to target customers more effectively. They have done this through targeted segmentation of the key markets on the site such as electronics, cars, phones and cameras and then made these segments available to the suppliers that operate in that particular area. This change has been hugely beneficial to the company with an increase of 60% to their revenue per 1,000 sessions and programmatic deals now accounting for 35% of their programmatic revenue. Read the full case study from Google here. Earlier this year Google announced Google for Jobs, a new tool that is going to be used to support both job seekers and employers. The tool will let them advertise jobs and match them to potential candidates. Primarily this is going to benefit employees and site owners in a number of ways including more prominent placement in search results, more motivated applicants and an increased chance of discovery and conversation. More details on the new jobs function from Google can be found here. Google launched reCAPTCHA ten years ago to help beat spam and online abuse. As mobile apps continue to grow in their popularity and complex usage, Google have now announced the reCAPTCHA Android API. The API will allow developers to better tell humans and bots apart, which in turn will create a more streamlined mobile experience for users. It will use the Google invisible reCAPTCHA technology that allows humans to pass through without any need for verification or additional clicks. All details on the new API can be found by clicking through here. Search snippets are based on one of three things; the content of the page, the meta description, DMOZ listing. Although in many cases the page content gives the best overview of the page, this is not always that case. With DMOZ now closed the Webmaster must provide a good meta description to ensure that it gives a true sense of the linked page. In this blog post Google gives some tips on writing a great description. They highlight how a meta description should work, some of the common issues faced and technical limits such as word counts, DMOZ and stopping Google from using the content as a snippet. You can read the full update and all the details here. 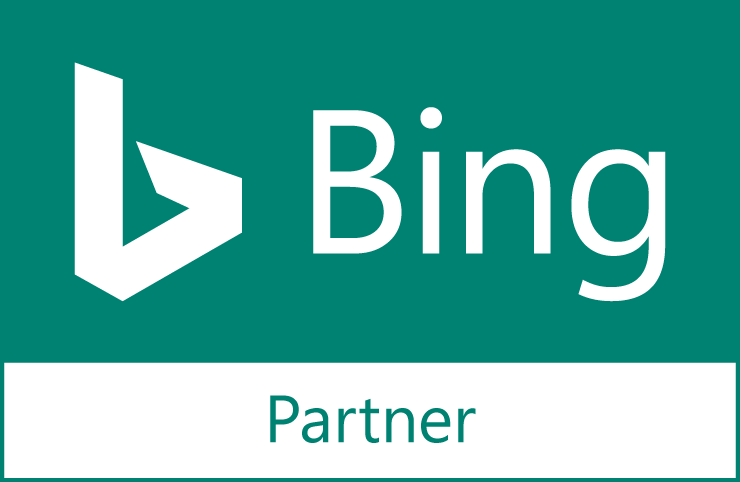 With Cannes in June this was bound to be the major focus of Bing as Microsoft play such a massive part in the event. It is interesting to hear the thoughts from their top leadership as to the challenges the industry will be facing in the coming five years and also hear how they are planning on supporting marketers in this time of rapid change. These changes are also immediately clear in the update of pure mobile ad campaigns and their moves to show users how competitive they are in their market. Google continues to improve their marketing platforms and helping marketers get relevant ads out to customers on the best platforms. They also further show their commitment to lowering spam and abuse with the introduction of invisible reCAPTCHA Android API.